We at HolidayExtras.com like to consider ourselves experts on Heathrow airport Park and Ride parking. With over 25 years' experience, it means we're able to offer the best services at a price you can be happy with. Book from the best today. If you've ever turned up at a Heathrow on-airport car park without making an advance booking, you'll know that it doesn't come cheap. By pre-booking Heathrow Park and Ride, you can cut the standard price by up to 60%. That's a huge saving and means you'll be able to enjoy your trip without cutbacks. Park and Ride at Heathrow airport covers most of the parking options available. Either off-airport or on-airport, Heathrow Park and Ride means that you either park your own car or your car's parked for you. Once you've left your car in a bay, you'll be required to take a short transfer to the Heathrow terminal you're flying from. Depending on the car park and its distance from the airport, the transfer will take no longer than 10 minutes. Once you return, all you need to do is go to the bus stop you were dropped off at. All the Heathrow airport Park and Ride options on offer provide transfers 24 hours a day. Off-airport or on-airport, secured parking at Heathrow is our top priority. 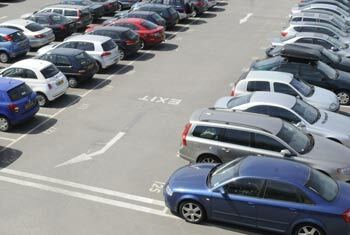 All of the car parks we sell have been awarded the Park Mark award for safer parking. Each has extra measures in place to ensure your car's looked after, including security fencing and barriers. 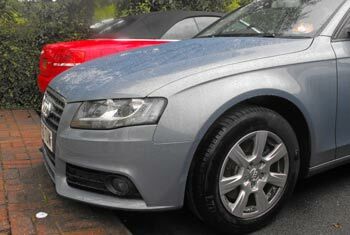 If you're on a tight budget, your best option will be to look at Heathrow off-airport parking. Quality Airport Parking is a secured car park just a 10-minute transfer from the airport. If you'd rather park closer to the airport, a Heathrow Park and Ride on-airport car park will be your best option. That's because the car park will be within the airport perimeter and a shorter distance by transfer bus to the terminals. If you're flying from Terminals 1 and 3, Heathrow Long Stay and Heathrow Business Parking are convenient and secured car parks. Flying from Terminal 4 or 5? You'll find the same high standard of facilities and service at the Terminal 4 Heathrow Long Stay Terminal 4 and Heathrow Business Parking T4. At Terminal 5 you can choose Heathrow Long Stay Terminal 5 and Heathrow Business Parking T5.